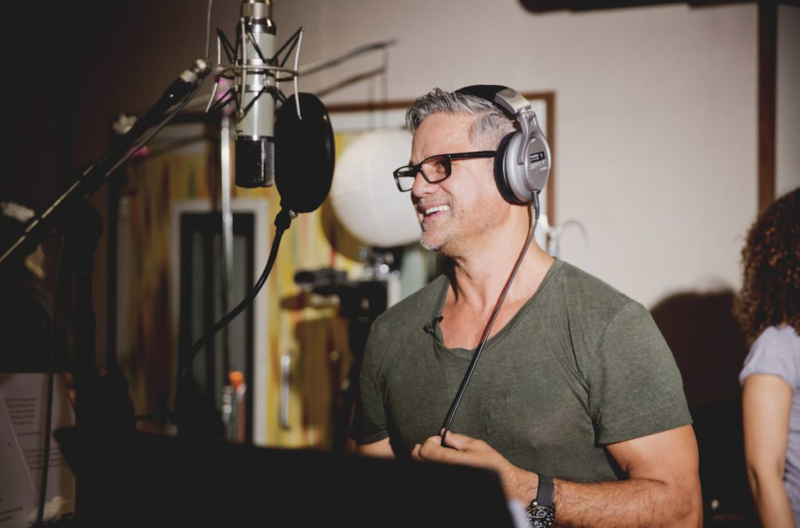 Jon Stevens is the latest Australian act to release music for drought-stricken farmers. Stevens, who grew up in a farming community in New Zealand, says, âI thought, why not give the song to them and see if they can make some money from it. âThat is what you do, you try and help in any way, so I went in and recorded it. Rain Down On Me was written in LA earlier this year about coping with adversity, it can be pre-ordered on via Stevens website. Stevens, currently on the road in regional areas on a Best Of tour, is also one of the acts on the Hay Mate: Buy a Bale â" A Concert For The Farmers will take place this Saturday, October 27 at Tamworthâs Scully Park. Four of its acts, including headliner John Farnham, are also featured on a new 2CD set Drought Relief from Sony Music Entertainment Australia and the Sony Foundation. Aside from Guy Sebastian, Daryl Braithwaite and Adam Harvey whoâre on the show, the album includes tracks from Midnight Oil, Jimmy Barnes, Paul Kelly, Icehouse, Human Nature, Jessica Mauboy, Billy Joel, Bernard Fanning, The Church, Christine Anu, Train, Delta GoodrembPete Murray, Lee Kernaghan, Troy Cassar-Daley and Adam Brand. Sony Music Entertainment Australia chairman and CEO, Denis Handlin AO says, âI know everyone in Australia shares deep concern for the plight of our farmers and rural communities, who are the very backbone of Australia. Earlier, Shannon Noll released the charity song Lean On Me. From the country music sector, The Hay Balers issued Shout The Land A Drink, which was written by Matt Scullion after a visit to Tamworth. The Hay-Balers included in its line-up James Blundell, Tania Kernaghan, Adam Brand, Drew McAllister and Simply Bushed.